Pontrilas Sawmills has continued to strengthen and expand in every way possible to remain a varied and diverse family run company. Pontrilas Sawmills was founded by the Chairman's father John R. Hickman in 1947 and we are part of a family run group of companies, including Pontrilas Merchants and Pontrilas Packaging. All three companies pride themselves on the quality of their products and the prompt and efficient service in which they deliver to their customer. 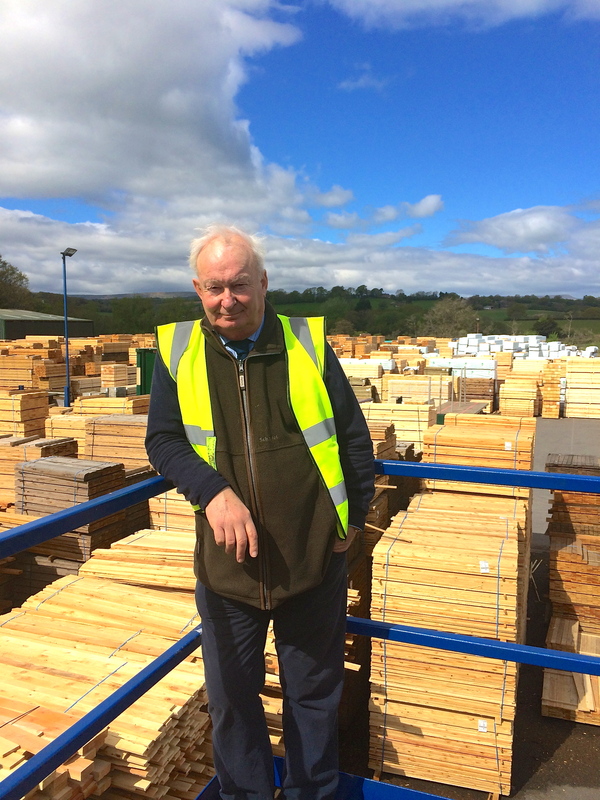 Jeremy Hickman, the Chairman of Pontrilas Sawmills has worked within the company for over 50 years and went over to Sweden at an early age to begin his journey within the timber industry. Throughout Jeremy's time working within the mill and out of the mill, Jeremy has recruited a fantastic team around him and together they have helped the business to become what it is today. Today, we continue to expand by investing in technology, including our state of the art boiler, kilns and new highly automated log line.